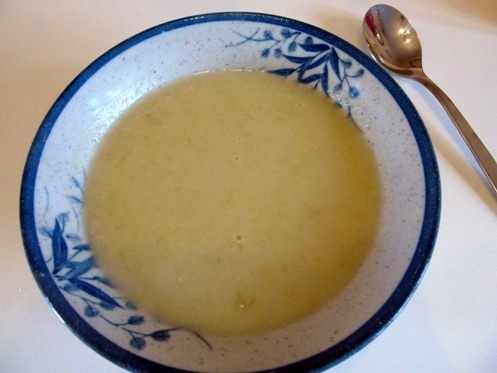 I never thought that these cream soups that I so love during winter time is so easy to make. Well, it's even easier when they come out of a tin can but the real thing is so much more flavourful and healthier that making it from scratch can be deemed mandatory. The only specialized equipment needed is a stick blender or a regular blender or a food processor. This is to puree the soup to a smooth and fine consistency. Although it won't hurt even if don't puree, you'll just have more texture in the soup which for some people is preferable. The picture of the finished product isn't that great so I'll put that at the bottom. I'll post a better one next time I cook this again. Darina Allen's recipe in the BBC GoodFood website is the recipe I adapted. Remove the tough outer layer of the leeks. Chop and wash thoroughly to remove soil and sand. Add in the onion and leek and cook on medium heat for about 1 minute. Add the diced potatoes; stir, cover and cook on low heat until vegetables are soft (about 5-10 minutes). 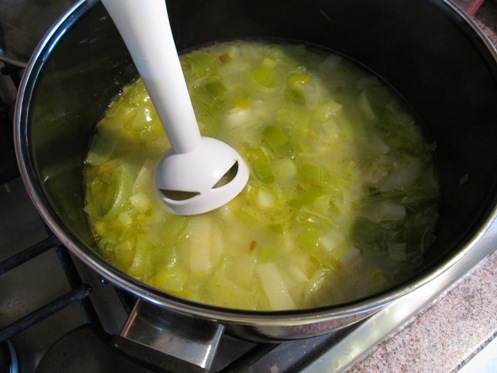 Pour in the stock, bring to boil then turn heat to lowest and simmer until the vegetables are soft. 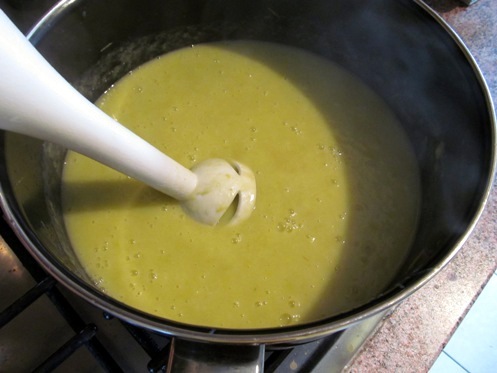 Remove from heat and puree everything with a stick blender or in batches with a regular blender or food processor. Taste and adjust seasoning with salt and freshly ground black pepper. Reheat gently and stir in the milk. Serve hot. *Note: You can use single/double cream or a combination of milk and creams.